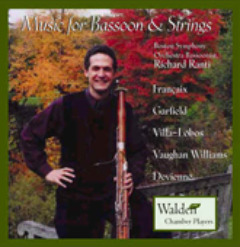 Richard Ranti and the Walden Chamber Players: Music for Bassoon and Strings. This CD contains a diverse repertoire: the romantic Villa-Lobos Ciranada das Sete Notas, the plaintive Vaughan Williams Six Studies on English Folksong, to Lighter moments with the Francaix Divertissment and Devienne Quartet. A wonderful Quartet By Bernard Garfield will surprise all who didn't know he is as gifted with composition as with the bassoon. For sale here. 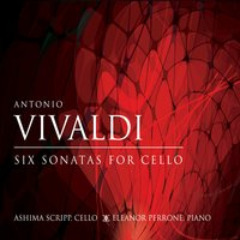 A collection of Six Sonatas for Cello and Piano by Antonio Vivaldi featuring Ashima Scripp, cello and Eleanor Perrone, piano. For sale here. 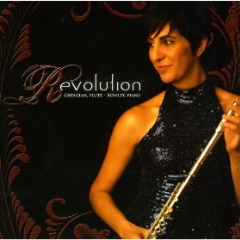 Revolution featuring flautist Marianne Gedigian and pianist Rick Rowley. 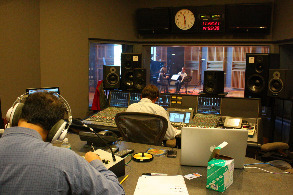 Music by Grasse, Dvorak, Stravinsky, Papini, Pierné, Suk, Babadjinian and Bridge. 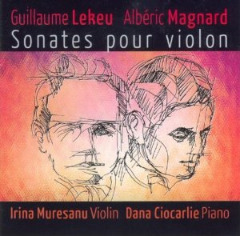 Sonatas for violin and piano by Lekeu and Magnard featuring Irina Muresanu and Dana Ciocarlie. 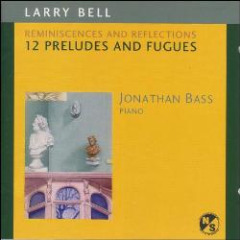 Reminisciences and Reflections: 12 Preludes and Fugues by Larry Bell performed by pianist Jonathan Bass. 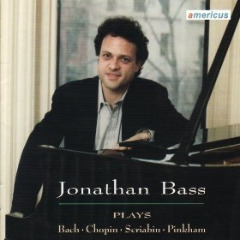 Includes the World Premiere Recording of Daniel Pinkham's 12 Piano Preludes, as well as JS Bach:Toccata In C Minor, BWV 911; Chopin: Preludes Op. 28 (selections), Scherzo in E Major, Op. 53, Nocturne in D Flat Major, Op. 27, No. 2; and Scriabin:Sonata no. 5, Op.53. "Heart and soul in the breathtaking music of a thoughtful contemporary composer... reveals a lively, probing mind allied to a beating heart. "Finally! A CD from one of this generation's greatest bassoonists!! One word can suffice for a review: WOW!!"